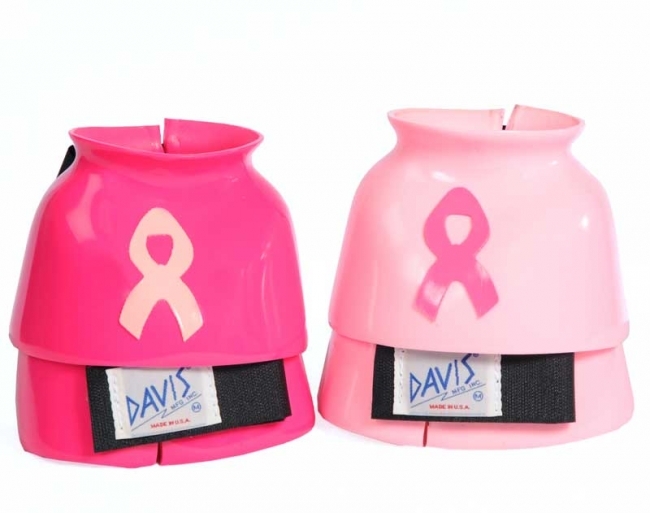 Davis Bell Boots Pink Ribbon "Giving Cancer The Boot"
Have a little fun while protecting your horse or pony from over-reaching injury with these "Giving Cancer The Boot" Davis bell boots. The hard working horse boot works well for turnout, schooling and even competition. Support the cause by buying the breast cancer bell boots by Davis and part of the proceeds will be donated to Breast Cancer Research. Heavy duty PVC compound to resist rips and tears. Double locking Velcro closures for easy on and off.